WASHINGTON (AP) — Under fire for the worst privacy debacle in his company’s history, Facebook CEO Mark Zuckerberg batted away often-aggressive questioning Tuesday from lawmakers who accused him of failing to protect the personal information of millions of Americans from Russians intent on upsetting the U.S. election. 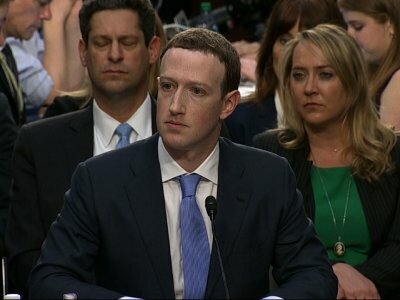 During some five hours of Senate questioning, Zuckerberg apologized several times for Facebook failures, disclosed that his company was “working with” special counsel Robert Mueller in the federal probe of Russian election interference and said it was working hard to change its own operations after the harvesting of users’ private data by a data-mining company affiliated with Donald Trump’s campaign. At times, he showed plenty of steel. After a round of aggressive questioning about Facebook’s alleged political bias from Sen. Ted Cruz, for instance, Zuckerberg grinned and almost chuckled. “That was pretty good,” he said of the exchange with Cruz.